It seems like everyone is jumping on the contour kit bandwagon, however drugstore brands have been a little late with this one, yes there's a few contour kits out there but none of them seem to contain the right mix of highlighter/under eye setting powder that the highend brands seem to have got nailed. Upon having a browse in my local Boots I noticed the Barry M Chisel Cheeks Contour Kit staring right at me, it had been out of stock on previous visits so I snatched this one up before anyone else noticed it. 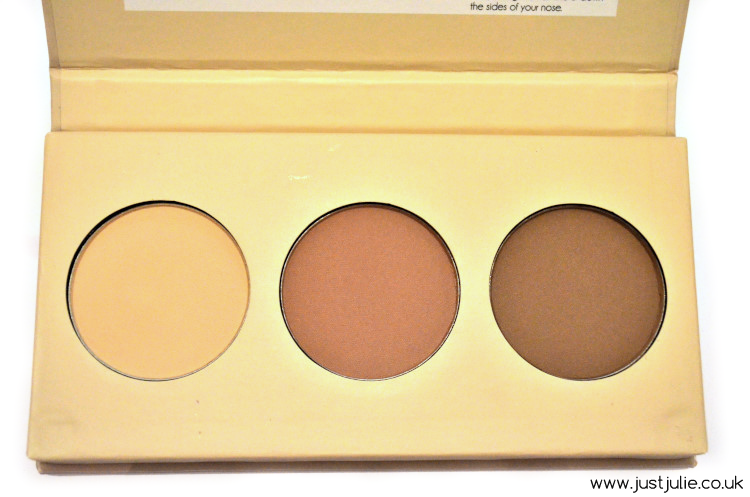 The Barry M Chisel Cheeks Contour Kit comes in a small thick cardboard palette and has three pans of powder, one highlighter/under eye setting powder, bronzer and contour colour. There's also a handy little how to guide on the inside of the box which is super handy for anyone who doesn't even no where to begin when it comes down to contouring. I'm going to be honest, I'm not keen on this at all, it really doesn't compare to the other highend brands, and before explaining why I want to show you the comparison to the Smashbox Step By Step Contour Kit, which I presume this is meant to be a dupe of. 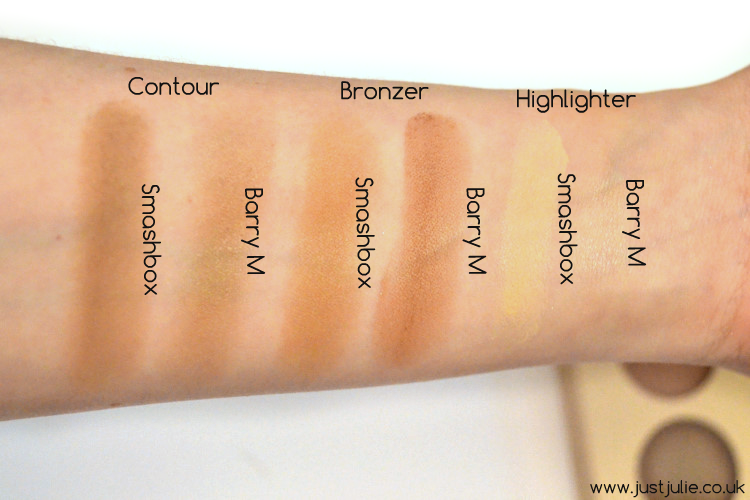 For starters the colours of the Barry M Contour kit just aren't right at all. You can see from the swatches above that the under eye setting powder/highlighter is barely noticeable, I literally needed to scrap the pan to actually get some product to show up, which then delivered too much shimmer which is useless to put under the eye. You can see the Smashbox powder is very pigmented and contains no shimmer. It's an excellent under eye powder. 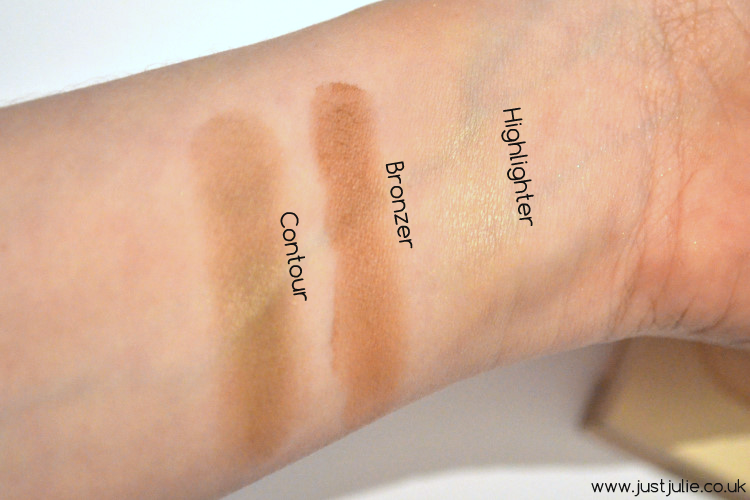 As for the bronzer, well it's just too dark and is almost mud like on the skin and kicks up way too much powder too. The Smashbox bronzer is a great shade, yes it's pigmented but you can apply a small amount and it really does help warm up your skin tone in a very natural way. 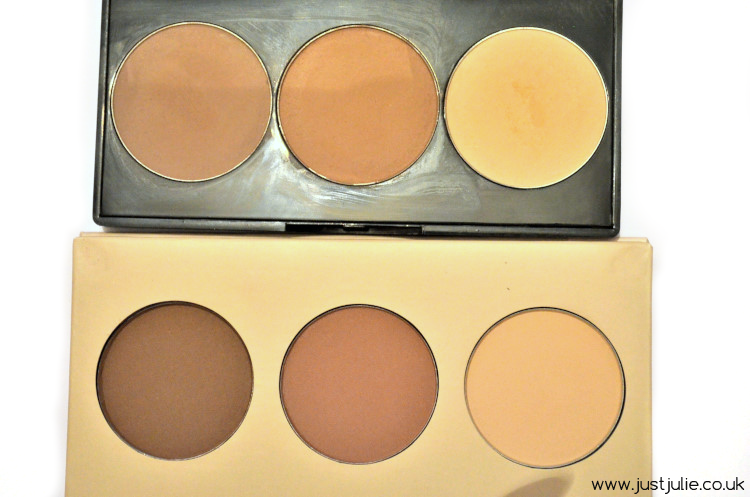 As for the contour colour, ok they seem to have got the ash tone almost right, however, like the setting powder this too is hard to get product from the pan and is very hard to blend in, whereas the Smashbox colour is spot on and is extremely smooth and easy to blend in. I found the Barry M textures to be quite rough, there's very little smoothness with them, and as a result they're not easy to blend in. I like my powders to feel smooth and buttery and be easy to work with, this just isn't the case with these, which is unfortunate as I honestly thought I was on to a winner here. Besides the fact this is only £6.49, I'd honestly bypass this as it just doesn't deliver the results that I'd hoped it would have, which is a shame as this could have been the must have drugstore contour kit. 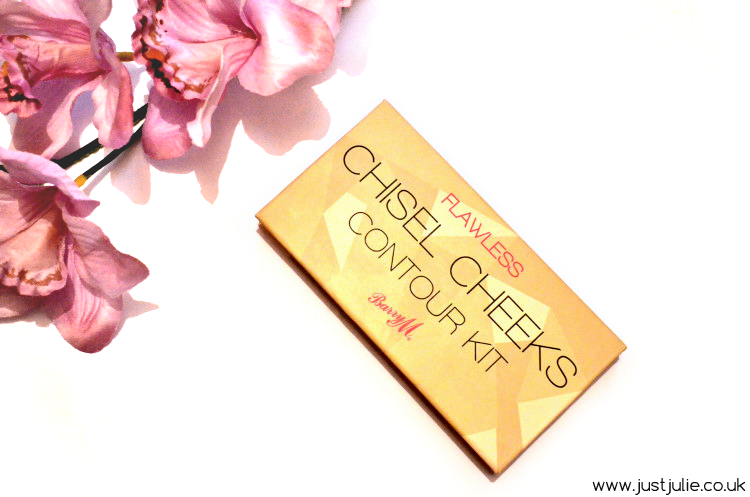 Have you tried the Barry M Chisel Cheeks yet? What were your thoughts? Would you rather spend more money on a product that does what you want it to do or less on a product that just doesn't deliver? I'd love to know your thoughts.